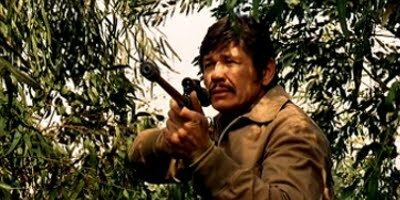 Director Sergio Sollima and Charles Bronson unite in a well-paced Eurocrime that suffers terribly from unnecessary rear-screen projection, even during its otherwise exciting car chases, and a betrayal-heavy plotline. Co-star Jill Ireland, as always, does her best Audrey Hepburn imitation in between the violence and the nudie inserts of her body double. Great Ennio Morricone soundtrack and some nice Caribbean and New Orleans locations also help things along, as does gangster Telly Savalas, who enjoys several lengthy monologues. Bronson is in fine form here, and, luckily, Sollima's sharp action direction, without the £%$& process shots, contains the actor's menacing presence without downplaying any notion that Bronson might be squashed by the film's bad guys.